You may be one of many who wanted to go on a traditional mission trip but felt hindered because of travel, time, or lack of financial resources. Now, with half the world’s population online, another branch of mission “trips” has been born: Digital Mission Projects. Use this guide to help your own launch a digital mission project. As you can tell, this is the most important part of this work. You may have a great strategic plan, a team of one thousand dedicated people, and a budget without limits—but if your team is not praying, you are missing the most important part of the project. Mission work is about linking the weakness of humanity with the strength of divinity to do a work that will last for eternity. We connect with divine power through prayer. Before you launch your mission thrust, spend significant time praying for guidance, wisdom, and strength. When the work starts, prayer should continue. Difficulties will arise and people may become discouraged. Praying throughout your project will ensure God’s voice can be heard clearly. When the main thrust of the mission project ends, prayer must still continue. New souls will have been won through the effort, meaning the next phase of the work is beginning! Continue to pray that those exposed to the Gospel will answer positively to Jesus’ love and accept Him as their Savior. Like a traditional mission project, you choose the target of your evangelistic thrust. “Cyberworld” is made up of over 60 “countries,” or social media platforms. In addition to these sites, people communicate through emails and blog posts. You can choose one or several platforms. Assessing your platform and gathering statistics will determine how you implement your mission project. Like a physical mission destination, each social media site has its own “culture” to consider when developing the project. For example, “Twitter language” limits you to a specific number of characters, but Facebook does not have a limit for its posts. To help choose a platform, conduct a brief survey to find out how the members of your church are communicating and which social media sites they frequent. If you have a church audience that mostly use emails, it may be a good idea to focus on an email strategy and growing a list. Anyone can get involved in your church’s digital mission project. Create teams based on ages and social media preference, or have one team. Have signup sheets available and ensure that everyone gets a physical copy of the project plan along with an electronic copy. Use social media (e.g. your church’s Facebook account) and your church bulletin to promote the project and supply information. Typically, people need to see a message several times before acting. Give yourself adequate time before the project to recruit people. A digital mission project is a great way to get youth involved, so make sure they have a central role in this venture. You will need a central online location to address questions and issues that arise during the course of the initiative. This will be known as your “online mission station.” You can set it up as a page on Facebook, a section of your church website, or a blog. However you choose to go about it, ensure that your team of digital missionaries have access to this “station” whenever they need. Appoint someone to be responsible for monitoring feedback coming through the mission station. In addition to answering questions and addressing issues, use the station to share videos, quotes, and stories from the mission experience. By doing so, missionaries will be encouraged by one another’s experiences. Once you have chosen your “cyber country,” set specific goals. If Facebook is your target, perhaps you aim to post 3,000 scripture verses in one month. This means 50 missionaries, using their own Facebook pages, can post a different scripture twice per day for 31 days. Maybe you want to send out invitations to study the Bible. According to Pew Research, on average, each Facebook user has 338 friends. If 100 digital missionaries send out an invitation to study the Bible to 338 of their friends, that’s 33,800 invitations! If you receive favorable feedback from 0.5% of that number, you will have 169 Bible study contacts. Carry out this project for one month, and you may have close to 700 Bible study follow-ups. By setting goals, you have something to work toward and a standard by which to evaluate your work. Remember, God promised His word will not return to Him void. The contact made with thousands of people online will not go unseen in Heaven. How do I initiate a conversation with a friend online? What should we talk about? When should I talk about faith? What should I do if I get a hateful message? How do I avoid being marked as spam by Facebook for sharing religious content? The North American Division now has a department that provides resources for digital evangelism. You can even invite one of their representatives to conduct a webinar on digital evangelism. Maintain the connection. After the main project thrust is completed, the missionary should continue corresponding with the contact. Considering that the contact was a Facebook friend, the relationship doesn’t need to end. Catching up periodically, video calls, studies, discussions, and sharing events are a few ways to build and maintain the friendship. Even if the person decides not to have Bible studies or doesn’t make a decision for Christ, the missionary can maintain the connection and continue to pray for the contact. Get them in touch with a local church. Chances are, the online contact is not in the same geographic location as the online missionary. The missionary can help the person connect with someone in a local church. Share other online resources so that they can continue growing. These days, there are countless websites that can help someone in their faith journey. 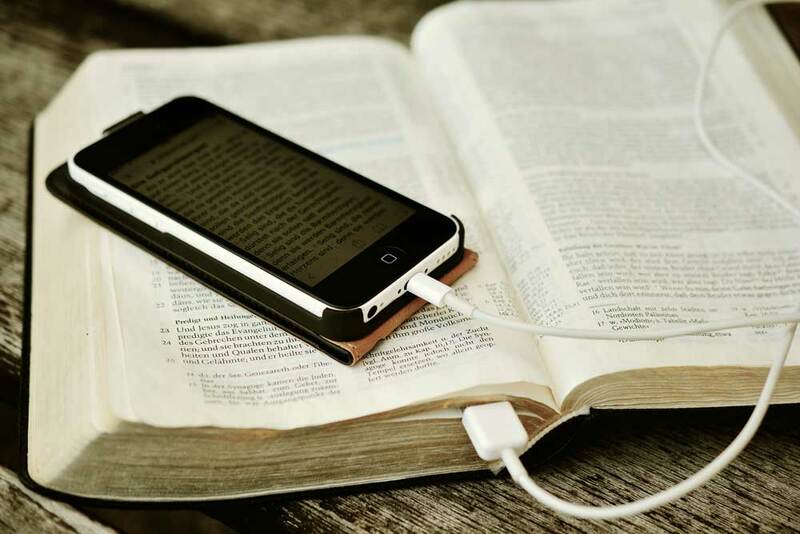 Sermons, Bible studies, books, devotionals, and Bible reading plans are all available. Sharing this kind of information can be key to keeping a person engaged. Get them involved in the work. Sharing your faith is one of the best ways to grow your faith. Throughout the Bible, we see examples of people who went out and shared Christ right after they had a personal encounter with Him. Jesus even bid His disciples to go and make other disciples. Giving the contact an opportunity to share what Christ has done in his or her life is an excellent way to retain them while you coach them along the way. There are many benefits to gain from assessing your mission project. First, it allows you to evaluate the components of the project and make adjustments. These changes can be implemented into the next round of the mission project. The evaluation period is a good time to let team members talk about what worked and what didn’t. You have an opportunity to review and discuss comments and stories shared in the online mission station. In addition, you will gain an idea of how many people the project impacted. Whether the contacts received an invite, accepted Bible studies, decided to visit shared links, or made a decision to follow Christ, assessing results can help build faith and give you a better direction for setting goals for the next online mission project. This list is flexible, and you can adjust it to best suit the mission of your church. Organizing a digital mission trip is another great way to get your others involved in fulfilling the Great Commission. Remember, the goal of this work is not to convict or convert hearts—that is the work of the Holy Spirit. This helps spread the seed of the Gospel, and water it as well!